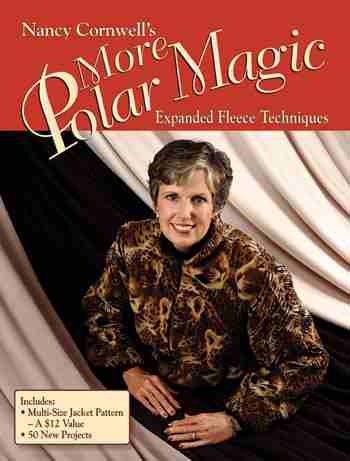 Description: The cover jacket was made using the jaguar and solid fleece. Find both in our Fabrics-Polar Fleece department. Discover more fantastic fleece sewing ideas from Nancy Cornwell. Begin with fleece sewing techniques and applications, more than 50 gorgeous creations. Illustrations and step-by-step instructions show you how to complete vest, scarves, quilts, blankets, pillows and hats that take advantage of unique characteristics of fleece. Notes: Pattern for cover jacket is included.